Whether you are looking for a return to ‘the good life’ or are a commercial poultry farmer we are your one stop poultry shop in the New Forest and Hampshire. Our own resident cockerel and his wife, who spend their days wandering the yard enjoying the fine variety of feed we have to offer, will be pleased to share their recommendations! The quality poultry feeds we offer include the Allen & Page Smallholder and range and also value ranges from Heygates and Fancy Feeds. Feed for Chickens, Ornamental Poultry, Ducks, Geese, Turkeys and Ostrich. Chick crumbs, Growers Pellets, Layers Pellets, Mash & Corn stocked in bag sizes from convenient 5kg to large 20kg. 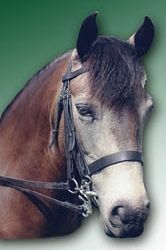 We are also pleased to supply high quality organic poultry feed from Allen & Page. Why not take advantage of our delivery service and let us do the hard work? Many of our staff are poultry owners and are always pleased to talk about their own experience and offer friendly help and advice. 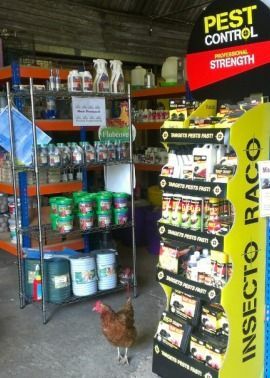 Our shop houses a great selection of plastic and galvanised feeders and drinkers, grain storage options and even treats for your feather friends! We are happy to obtain poultry houses to order. We have a fine range of poultry supplements and medicated products from Global Herbs, NAF and Nettex. So from mites and lice to scaly legs we have it covered. We are proud to have staff member Jacqui Lowth who became the first person in the UK to qualify as an AMTRA Avian Suitably Qualified Person and Jade Wells also an Avian SQP which enables us to sell and offer advice on poultry worming products, including flubenvet medicated feed. Come and visit us and let us help you keep your feathered friends fit, fed & healthy!